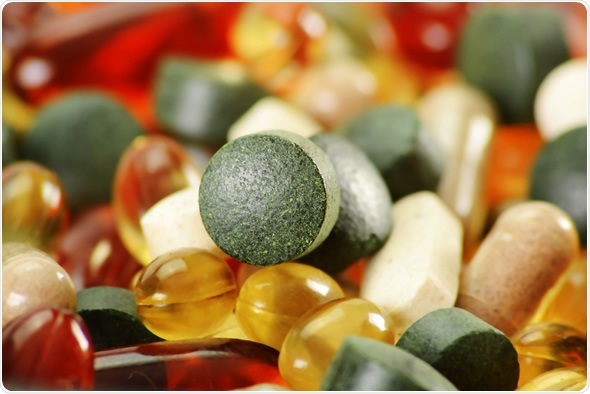 In the western world, dietary supplements are a billion-dollar industry, with around half of all adults in the United States consuming such products. Many consumers like to buy products marked as herbal or “natural”, often regarding these to be better for them, or even harmless. But, in reality, many such products are laced with unlabeled substances, which often includes pharmaceuticals that have long since lost their regulatory approval. This means that consumers are not only being misled over the products they are buying but they are also potentially seriously endangering their health. Therefore strategies to quickly, cheaply and accurately identify rogue dietary supplements are much needed. With the rise of internet purchasing, adulterated products are often being ordered from outside of regulatory areas such as the European Union or United States, and these products present an increasing challenge to customs who need to discriminate between them and legal products. Currently available techniques – which predominantly involve gas or liquid chromatography coupled with mass spectrometry – are highly sensitive but time-intensive, expensive and laborious. What's more, these methods are non-targeted, meaning it is necessary to know which compounds you are looking for, which is something of a disadvantage in adulterant testing. Nuclear magnetic resonance (NMR) spectroscopy has been explored as a method to overcome some of these challenges in adulteration testing. It offers several advantages over existing techniques being quick, requiring little or no sample preparation and delivering rich qualitative as well as quantitative information. A 2014 study by Gilard et al used 1H NMR spectroscopy to analyze 150 dietary supplements for enhancing sexual performance that were marked as 100% natural. The products claimed to be made from natural compounds, plant extracts and/or vitamins. They found that 61% were adulterated with phosphodiesterase-5 inhibitors (PDE-5i), a class of drugs that includes sildenafil, or Viagra. Twenty-five percent of these PDE-5i-adulterated products contained doses greater than the recommended amount. Additionally, the researchers found that by following up the manufacturers over time, that their formulations were inconsistent, often varying even within the same batch number, and were sometimes contaminated with other substances or impurities. While NMR spectroscopy shows much promise in this area, its use is often limited due to the costs of maintaining the equipment and staff training. Pagès at al. (2014) showed that a benchtop cryogen-free 60 MHz spectrometer was capable of detecting supplements containing pharmaceutical products at a standard comparable to that achieved with high-field NMR within as little as 20 minutes. Although the resolution and sensitivity were impaired compared with high-field NMR, the researchers say they expect such equipment to be increasingly used in quality control labs and customs as a first-line screening tool at a fraction of the cost of high-field NMR. DNA analysis has recently emerged as a method to identify the components of dietary supplements, particularly in herbal drug preparations such as those from traditional Chinese medicine. Chinese medicine is increasingly being practiced outside of Asia but there is uncertainty over the efficacy, legality and safety of some herbal preparations. Products can contain substances that contravene import legislation and there have been incidences of toxic substance contamination, leading to serious health consequences. DNA barcoding, microarray technology and next generation sequencing can be highly effective in authenticating the medicinal plants used in these products. For example, in a 2012 paper by Coghlan et al., the authors used second-generation, high-throughput DNA sequencing to characterize 15 samples of traditional Chinese medicine preparations that had been seized at the Australian border. This revealed DNA from 68 different plant families, including some that are known to be toxic. Furthermore, the analysis found DNA from animal species, including those listed as endangered such as the Asiatic black bear and the Saiga antelope. A paper by Singtonat and Osathanunkul (2014) showed how DNA barcoding could distinguish between two medicinal plant species, Thunbergia laurifolia and Crotalaria spectabilis, which are both referred to in Thai as Rang Chuet – a popular remedy. As C. spectabilis is now known to have hepatotoxic effects, there is a need for techniques to tell the two apart when they are being sold under the same name. 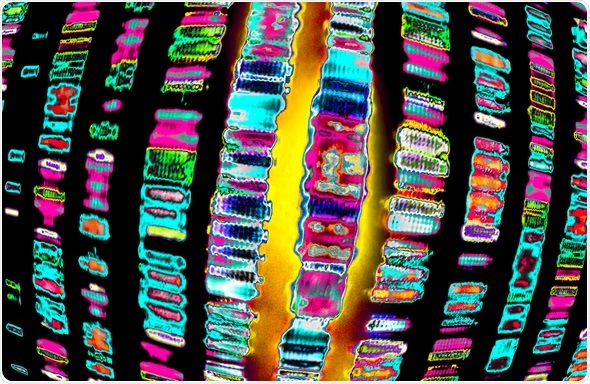 Using four stretches of DNA sequence from each of the species, the researchers created primers which they used in a technique called high resolution melting analysis, which is cheaper and quicker than standard DNA barcoding techniques. They were able to clearly distinguish products derived from the two species, revealing that of ten samples bought from Thai markets, three did not contain pure T. laurifolia. Therefore, they say this method could provide a low-cost means to analyze herbal products in developing countries. This year's Pittcon, the world's largest annual conference and exposition for laboratory science, is being held in Atlanta, Georgia on 6-10th March 2016. The conference will feature an impressive technical program with over 2000 presentations. Among these will be symposia on advances in food testing, including the authentication of dietary supplements. We will hear how analytical techniques are being employed to attempt to keep pace with unscrupulous manufacturers who add unlabeled substances to their products and how to overcome the challenges involved with these techniques in the lab. We will also find out how DNA sequencing is coming into play as a strategy to authenticate herbal products, including a discussion of DNA barcoding and the future of next generation sequencing. Coghlan, M.L., et al. (2012). Deep sequencing of plant and animal DNA contained within traditional Chinese medicines reveals legality issues and health safety concerns. PLoS Genetics, 8(4). Gilard, V., et al. (2015). Detection, identification and quantification by 1H NMR of adulterants in 150 herbal dietary supplements marketed for improving sexual performance. Journal of Pharmaceutical and Biomedical Analysis, 102, 476-493. Monakhova, Y. B., et al. (2013). Standardless 1H NMR determination of pharmacologically active substances in dietary supplements and medicines that have been illegally traded over the Internet. Drug Testing and Analysis, 5(6), 400-411. Pagès, G., et al. (2014). Evaluation of a Benchtop Cryogen-Free Low-Field 1H NMR Spectrometer for the Analysis of Sexual Enhancement and Weight Loss Dietary Supplements Adulterated with Pharmaceutical Substances. Analytical Chemistry, 86(23), 11897-11904. Palhares, R, M., et al. (2015). Medicinal Plants Recommended by the World Health Organization: DNA Barcode Identification Associated with Chemical Analyses Guarantees Their Quality. PLOS ONE, 10(5). Singtonat, S., & Osathanunkul, M. (2015). Fast and reliable detection of toxic Crotalaria spectabilis Roth. in Thunbergia laurifolia Lindl. herbal products using DNA barcoding coupled with HRM analysis. BMC Complementary and Alternative Medicine, 15(1), 162. Sarwat, M., & Yamdagni, M. M. (2014). DNA barcoding, microarrays and next generation sequencing: recent tools for genetic diversity estimation and authentication of medicinal plants. Critical Reviews in Biotechnology, 1-13. Vaysse, J., Balayssac, S., & Gilard, V. (2010). Analysis of adulterated herbal medicines and dietary supplements marketed for weight loss by DOSY 1H-NMR. Food Additives and Contaminants, 27(07), 903-916.